--- to find the most suitable people according to different section requirements. It can provide one-stop solutions for enterprises. Covers employee social insurance and pay the tax management, document processing, file management, security and other aspects, to help customers streamline personnel work process, easily solve the employees from entry to all affairs to leave, for customers to reduce the cost of human resources management, improve the efficiency of human resource management. To provide customers with professional HR customer service personnel, providing one-stop one-stop personnel services. Social security base audit, reporting, payment, account consolidation and transfer and insurance claims; provident fund base audit, reporting, payment, account consolidation, provident fund loans, withdrawals and other advisory. According to the archives issued by all kinds of personnel certificates, use / withdraw work procedures, titles Review Advisory, assist in the introduction of talent, etc..
Service outsourcing, service outsourcing industry is based on economic development, enterprises in order to better development, its non core business outsourcing, professional team the best use of external to undertake its operations, to focus on core business, in order to reduce costs, improve efficiency, and to enhance the core competitiveness of enterprises environmental adaptability. And then spawned a number of services outsourcing and the rapid development of enterprises in the industry. The business community is complicated, business fluctuations elusive, enterprises often in a position (or a position) on the face of some unexpected, temporary and urgent demand for labor, but unable to recruit the right staff, caused no small trouble to the normal operation of the enterprise. Job outsourcing resulting from staffing constraints, such as administration, secretarial, driver, etc. Business process outsourcing, such as call center, activity promotion, etc. - as one of the core businesses in the group, the group has accumulated a wealth of experience by providing services to a large number of its clients. No matter what kind of situation the enterprise faces in the temporary and sudden labor demand, we can find the corresponding solution in our service experience. We have more than 10 thousand qualified candidates in the administrative, secretarial, call center, promotion and other positions. We can fill the gap of the enterprises in time to ensure the normal operation of the company. - our services are highly flexible, offering customized services to companies in different units, such as months, weeks, and days. Payroll outsourcing service network throughout the more than 100 Ren group city nationwide, covering almost all of the one or two class city, the group of the advantages of the platform, the real-time control of the country whenever and wherever possible, the latest and most complete labor, social security, welfare policy and customer employee information, timely response. To provide customers with payroll and welfare calculation, payment, tax calculation, payment, as well as social insurance calculation, payment and other services compensation and welfare process outsourcing. Such as checking attendance, calculating wages, third party payment, etc. The production line contract is the product of the recruitment of staff in accordance with the requirements of customers, loan customers of the company production line, to organize production, as a means of employment to the final form of piecework and customer accounts. The production line contract helps clients reduce labor cost and personnel management, enterprise according to their actual situation in the production process, the production of auxiliary production of regular, seasonal, or production line for outsourcing, the outsourcing of non core jobs, but also contribute to its focus in the core business, in order to realize the maximization of enterprise profit. • Ren Lian is a professional Human Resources Inc, a professional recruitment / training team and project management team --- in accordance with the needs of different sections to find the most suitable person. The quality management team has focused on the product packaging section. • Ren Unicom has contracted production lines for several enterprises, reducing the overall cost of personnel management. 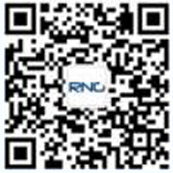 • Ren Unicom has flexible dispatched workers to meet the production capacity needs of enterprises.. The successful operation of the production line contract, is a new model of human resource dispatch and production practice, not only embodies the human resource dispatch in the labor advantage, and enable enterprises of all production processes are consistent in pace and so on, is the result of modern enterprises from the cost of production and work efficiency and other aspects of the full consideration. As the production line has its feasibility and superiority, we believe that we will do more in this line of business. Our company welcomes all companies to negotiate with us on the line of production, and we will promote this business in line with the feasibility of production and the principle of profit from both sides. To provide customers with sales terminal management, data management, experiential marketing services. Through the activities of planning, preparation and delivery of materials, staff recruitment, training, personnel management, site management, quality inspection, data collection and analysis of a series of system process, for customers to solve job vacancies, personnel risk, material control, the implementation of promotional activities and other issues, enhance the terminal sales staff to help customers execution. To create the perfect sales terminal. The terminal sales form to the customer analysis, provide professional human operation scheme, provide customers with PT retail and catering industry (Part-time) business process outsourcing services, including: mass recruitment, diversity training, job evaluation, risk taking, activities and other content, for the customer to strengthen PT (Part-time), flexibility the standardized management, so that customers can release in the management of PT investment, and focus on the overall operation of the store. To provide customers with lobby guidance, data processing, scanning, photocopying and other financial industry, non core business outsourcing services. From the early recruitment, unified training, teaching posts, on-the-job assessment, site management, employee relations and other services, to provide business process outsourcing professional experience for customers, to help customers reduce the cost of self employment, reduce internal management, enhance their brand image, improve customer service satisfaction and business objectives. Provide blue collar manpower management, manufacturing section management and other services for manufacturing enterprises. Recruitment process outsourcing (RPO) means that enterprises outsource all or part of their recruitment requirements to professional companies. The function is equivalent to the recruitment department within the enterprise and is responsible for providing the necessary skills, tools and techniques to the clients. In simple terms, the recruitment process is RPO (enterprise recruitment process: from the establishment of specific requirements to the entry of candidates, the recruitment process outsourcing services to provide management and grasp all aspects, including job requirements, recruitment channel management, the establishment of screening, candidate interview etc) to a professional Human Resources Inc to do. Recruitment process outsourcing can improve recruitment quality and shorten the time to fill vacancies, improve the administrative management process, the core business indicators report and reduce the total cost, the current domestic enterprises have begun to discover and use the RPO to complete the recruitment task the advantages of RPO, slashing costs and improve the quality of recruitment, improve effectiveness and efficiency the recruitment process. Today, RPO has become the latest trend in recruitment. By improving the recruitment process, making full use of the best practice experience, replacing the fixed cost system with a variable price system, recruitment process outsourcing can effectively reduce recruitment costs through long-term cooperation. The tedious recruitment process will be given to us, and the human resources within the enterprise can focus on the core affairs of the more important enterprises. Through the RPO service integration of resources, to provide enterprises with convenient one-stop service, to avoid contact with many human resources suppliers one by one. According to the enterprise's own recruitment situation, provide the most suitable recruitment system solutions for enterprises, help enterprises improve the quality and efficiency of recruitment. Provide short, medium and long-term projects and personnel outsourcing for the recruitment season, new projects, short-term staff replacement and tight staffing. Flexible work means: customers will be repeated labor positions, general categories of jobs and other recruitment requirements entrusted to the joint venture group, directly with the kernel settlement, Ren responsible for recruiting candidates, and quickly solve the following problems. Detailed understanding of customer's corporate culture, company background, industry and product features, communicate with customers fully and effectively, and discuss and analyze the required positions with customers. According to the understanding of our customers in the industry, combined with the specific job requirements, formulate a detailed search plan for the job recruitment, according to the search program, using our large database of candidates, and the industry related organizations and individuals networks, with special skills, make contact with every one of the potential candidates. Through detailed communication with customers, describe the responsibilities, qualifications, special requirements and the corresponding salary range. The service agreement includes job description, recruitment methods, project time and warranty, cost structure, etc.. The customer agrees with Walre and signs the service agreement. Analyze and filter all incoming candidates, including candidate status, communication skills, turnover possibility and motivation, salary level and so on. Screen out candidates who meet the requirements and arrange interviews. Interview candidates according to the job description and the requirements of the candidates, evaluate the candidate's personality characteristics, management skills, professional knowledge and skills, communication skills, English proficiency, reasons for leaving the job, etc.. On the basis of interviews, prepare candidate reports and conduct comprehensive evaluations of candidates. In general, we will provide comprehensive information of candidates after signing the contract within three weeks will be evaluated to arrange customers according to customer requirements and customer interview candidates, to assist the parties on the specific terms and conditions for effective communication. When the client selects a candidate, the headhunter will conduct a background study of the candidates at the request of the client. The content of the investigation can be designed by customer requirements, or by the fixed format of the headhunting agency. The headhunter will provide 2 to 3 background reports to clients to ensure the reliability of the candidate. When the client formally hires the candidate, he will maintain regular contact with his clients to help them meet the difficulties and obstacles during the probation period and ensure the successful candidate's trial. If the candidate leaves the office for his own reasons or fails to pass the probation period, he will offer the customer a free service on the position and re search suitable candidates for the client.